Heating and cooling equipment is expensive to install, and it makes sense to maintain it well. With expert preventive maintenance, your equipment runs reliably and achieves peak efficiency every year. 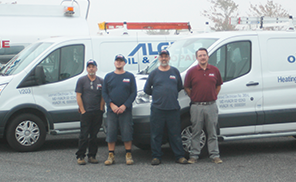 Alger Oil & Propane offers Service Agreements for virtually any furnace, boiler or central air conditioner that include essential preventive maintenance. Some of our agreements also provide repair coverage that can greatly reduce your costs in the event of a major repair. When you purchase plans for both heating and air conditioning, you save $50 off the combined annual cost.